I'm working on another baby quilt... I know, I know... I feel like I'm repeating myself! A colleague is expecting his first baby in early May and it has almost become custom now that when people have babies where I work, they get a baby quilt made by little old moi! I'm making a pattern I found on the Michael Miller Fabrics website. I've got the rows ready and started sewing them together last night. The top should be all done within a week or so and then I have great plans for the quilting! Back in December, I signed up for Leah Day's Building Blocks Quilt Along. 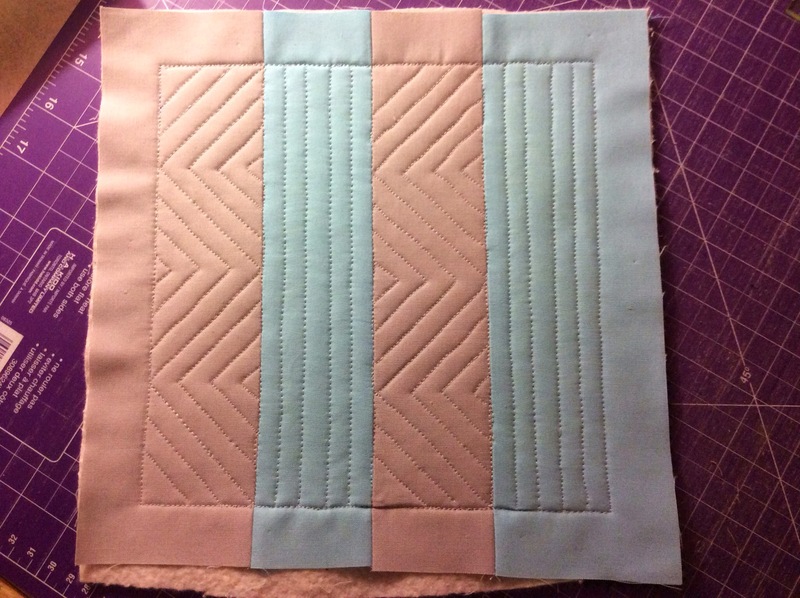 I signed up because I want to learn new piecing techniques, but most of all, I want to work on my FMQ skills. 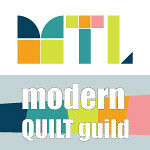 As an added bonus, through the BBQAL, I will learn how to use the Quilt As You Go method of assembling a quilt. Most of the FMQ designs to be quilted on the blocks each week had to be marked however and I am not a huge fan of marking. And this where the Frixion pens come in. I was shopping at a local craft store when I spotted them and decided to give them a try. My experience with marking designs had been limited to disappearing ink, which disappeared before I even finished the quilting, and the "wash out" ink which i used to mark half square triangles, but was a little worried about using on a quilt top. I have to admit - I was a little skeptical at first. But these Frixion pens work like a charm! Here is one of my squares all marked and ready for quilting. 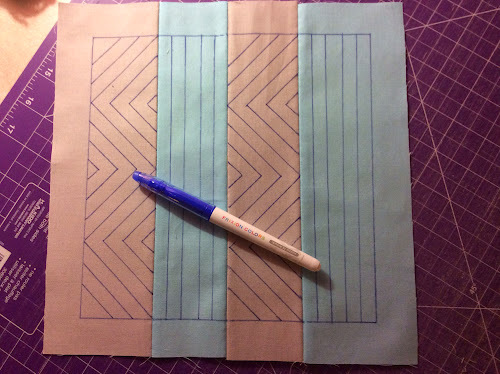 I am using a blue pen for this block and you can see there are a lot of marked lines. Here is the block once the quilting was all done. You can see the marked lines are still very visible and quilting this block was super easy because of these clear, dark lines. 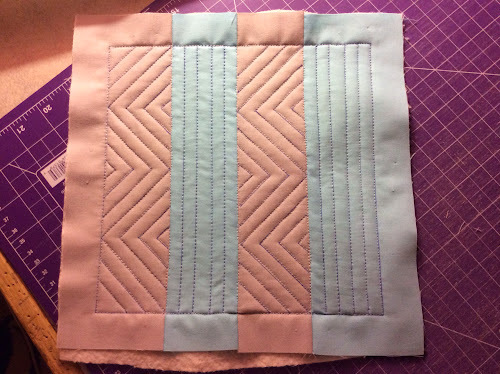 Once the block was all quilted, I turned on the iron and applied heat to the block for a few seconds... And just like magic, all the lines disappeared, leaving only the quilting! 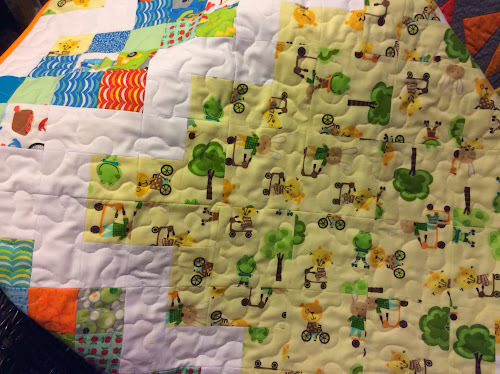 Some of my blocks were quilted weeks ago and the ink hasn't re-appeared on any of them. I bought a package which includes 6 different colours, but I have only tried blue so far. Will let you know how the others do! 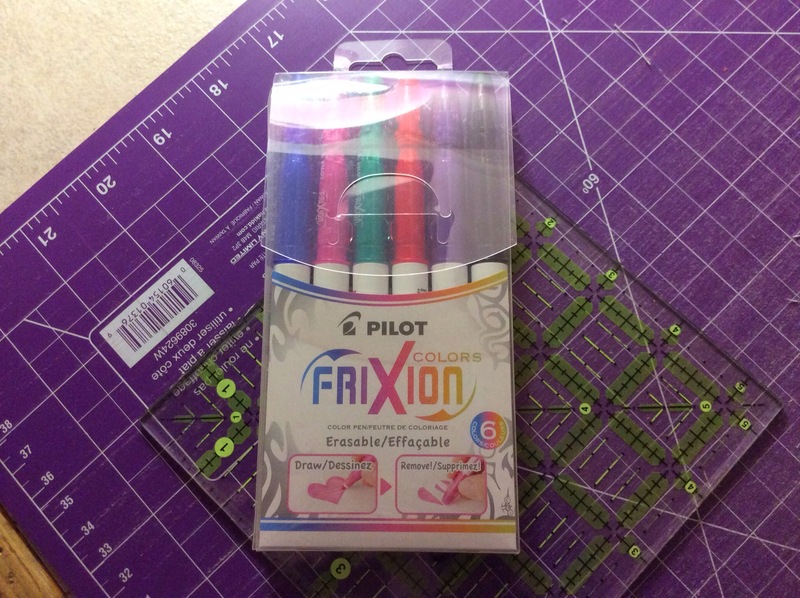 Have you tried the Frixion pens? Do you like working with them? 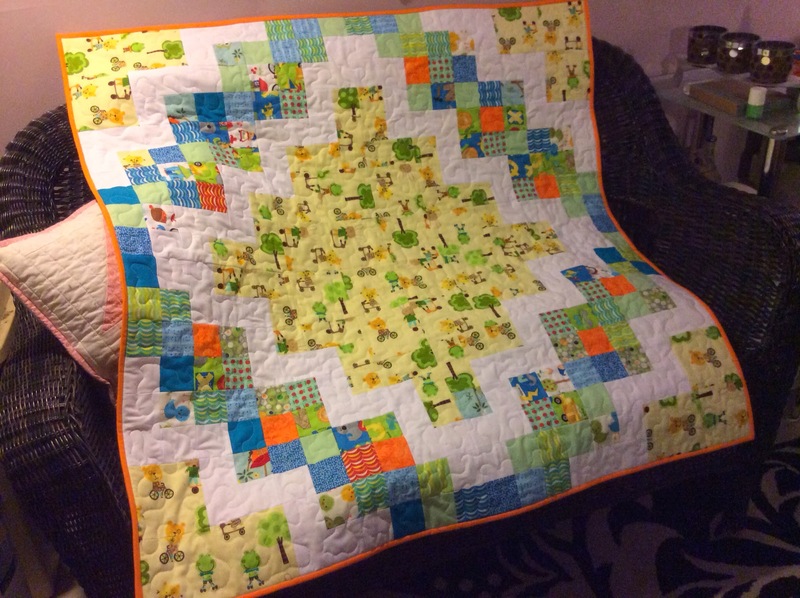 It's another baby quilt finish! 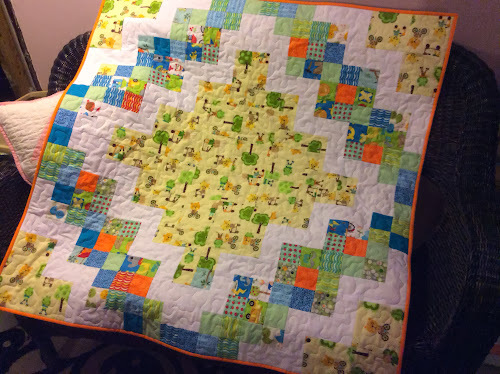 I have another baby quilt finish to share! This is my 5th baby quilt since the end of December. Babies are all over the place! The pattern is by Cheryl of Meadow Mist Designs and is available on the Moda Bakeshop as a free tutorial. I used a bunch of leftovers from other baby quilts I made - this pattern is perfect to use up some of your scraps. If you need a quick and easy quilt pattern, I highly recommend it. It would look stunning in a bunch of different color and fabric choices. I quilted a big meander all over with Aurifil 50 wt thread in white. The backing is a really nice flannel print... Sooooo soft! And I chose a solid in orange for the binding. This little quilt will be brought to my daughter's school early next week and offered to a very special teacher who is expecting her first child soon. Things have been pretty quiet here. 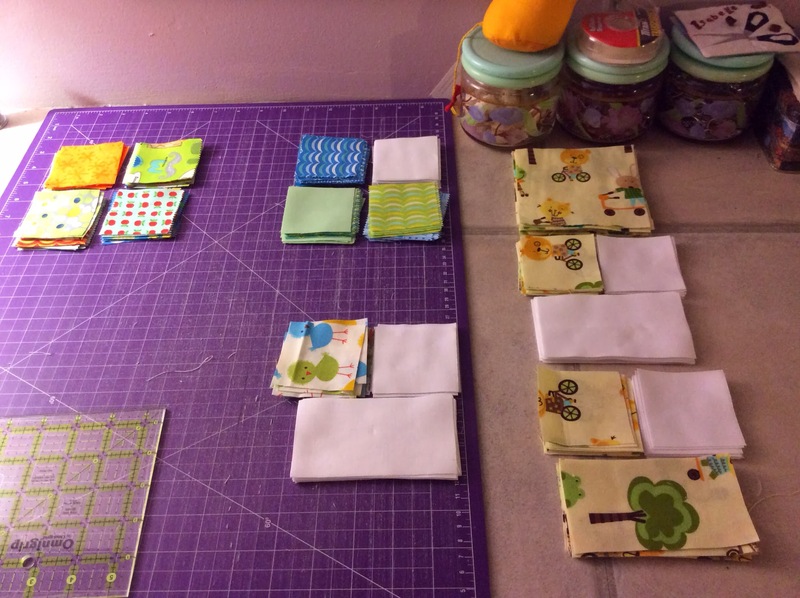 After I finished my Modern Crosses quilt, I didn't feel like jumping into another project until my sewing room was back to its organized self. So I spent a bit of time cleaning up - the room and my sewing machine, put my scraps away and then I stayed away from the sewing machine for the weekend. And then Monday night, my sweet daughter reminded me that I had promised a baby quilt for her favourite teacher. I wasn't provided with lots of direction other than it's a boy and the mother does NOT want a blue quilt. So I went to the Moda Bakeshop and grabbed the PDF for a quilt pattern by the wonderfully talented Cheryl Brickey of Meadow Mist Designs. 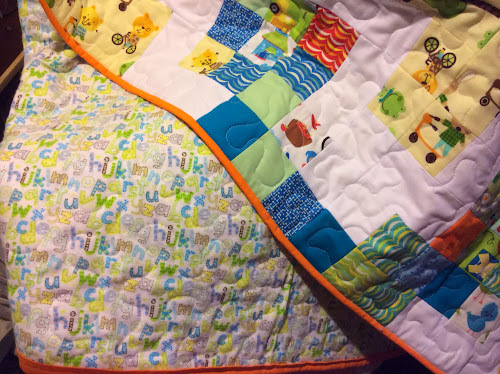 I decided to use fabric scraps and leftover pieces from other baby quilts I worked on recently. 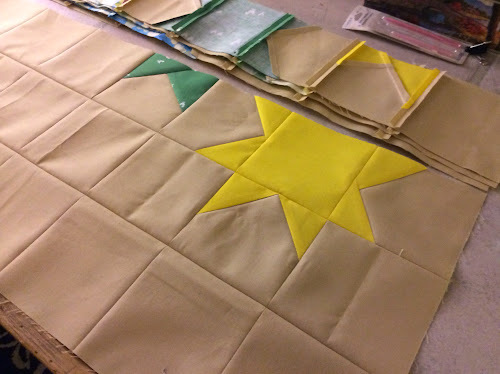 I started piecing this evening and I am making really good progress! If you have a baby quilt in your future, I highly recommend this tutorial. Lots of fun and it comes together super easily. 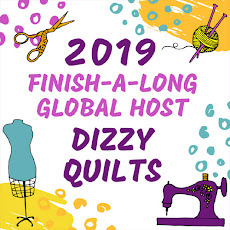 I will be linking up at Lee's for WIP Wednesday and since this little project is A Must Finish before the end of the month, I am also linking up for A Lovely Year of Finishes and making this my goal for March. I should be back soon with a finished top!